The abortion debate is settled for Christians by the Scriptures. We are not concerned with anyone's definitions of right or wrong other than God's. How does God view this controversial subject? Does He mention it in Scripture? His Word is final, so does God consider it murder or a right? Before we look at morality we should clear up another issue. Sometimes it is said, "It's my body I can do what I want with it. If I want to have an abortion its my choice." This is faulty on at least two points. First, if it were true then there could be no argument against prostitution, taking drugs/alcohol, suicide, self-mutilation, etc. After all, if I can do anything I want with "my" body, then there are no limits. Second, and foremost, God is the Creator and the Owner of all things and that includes our bodies. Because He is the ultimate Owner, He lays down what we are and are not allowed to do to others AND to ourselves. While He doesn't physically prevent us from disobeying, one day we will all stand before Him, and have to explain our actions, and receive His eternal verdict on them. Having said that, where in the Bible does it talk about abortion? [If you believe that God has changed and doesn't mean what He said in the Old Testament, then read Is Biblical Law Valid Today? or take the Master Life. This law is called a minimum case law [as explained in the Master Life Course], in other words, it gives us a practical example of how far the principles of this law apply. When we understand how far the law reaches, we know everything before that point is also covered by the law. Let's take a look at this example situation. Two men are fighting near a pregnant woman. In some way they bump or hit her and as a result she gives birth pre-maturely. The law then lays down the punishment if a] the woman and/or child is killed, b] the woman and/or child survives but has permanent damage, or c] the woman and/or child are not harmed. The most important thing we need to notice in this minimum case law is that this is an accidental abortion. The men involved in the fight did not intend to harm the woman, but it happened anyway. The penalty, if the woman or her child was killed, was the death of the guilty party in the fight. This is exactly the same penalty God required of a murderer [Should Christians Support Capital Punishment For Murder?]. Therefore, God must view them the same. If an accidental abortionist is considered a murderer by God, how much more a premeditated one? 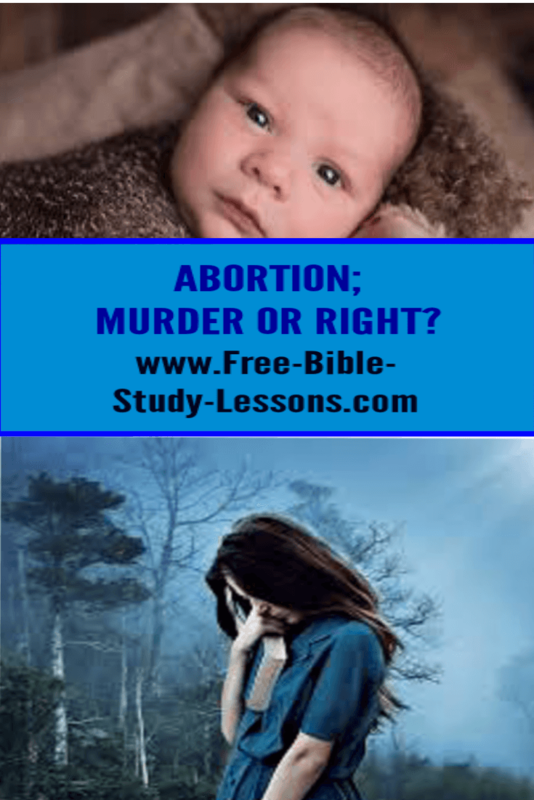 If not in man's court [which should be enforcing Biblical Law], then certainly in God's court all doctor's, nurses, men, and women who were actively involved in one or more fatal abortions will answer murder charges. All law makers, judges, lawyers, relatives, etc. 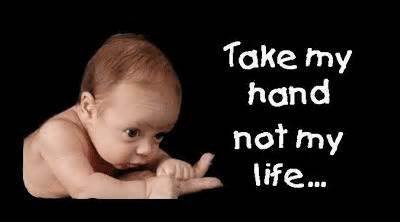 who supported or promoted the killing of the unborn will stand charged as accessories to the murder[s] and receive the same punishment. Is there any hope for people who have participated in abortion[s]? The good news is, yes! Denying the fact that it is murder is not the answer. The fact must be faced, responsibility must be accepted. The only hope [which is the only hope any of us have!] is submitting to Jesus Christ as Lord and Saviour, repenting of our sins, receiving His forgiveness [which we all need], and then walking in His Truth [see Introduction To Life]. This has answered our main question, but I want to end by pointing out a couple of other things. The statement of punishment for an injured woman/child is stated in the famous "eye for eye" sentence. It is a way of illustrating the Biblical principle of justice: "let the punishment fit the crime" [i.e. not too heavy for the crime - chopping off a hand for stealing an apple - or not too light - 5 years in prison for murder]. The crime and punishment must be balanced and God's law declares, or at least lays down the principles, as to what the balance is. In the case where no harm came to either the woman or the child, there was still a punishment - a fine. God surrounds a pregnant woman with the strongest possible protection. We should not take lightly what God considers serious.